Sure. Where to begin? I graduated as a dietitian just over 20 years ago, which is hard to believe, and I guess I always wanted to be a dietitian when I was at high school. I did home-ec and had a great teacher and loved the science of nutrition. At that time, Rosemary Stanton was on Burke’s Backyard and was the only dietitian in the media. So everyone of that generation wanted to be like Rosemary. I did a science degree first and then did dietetics. 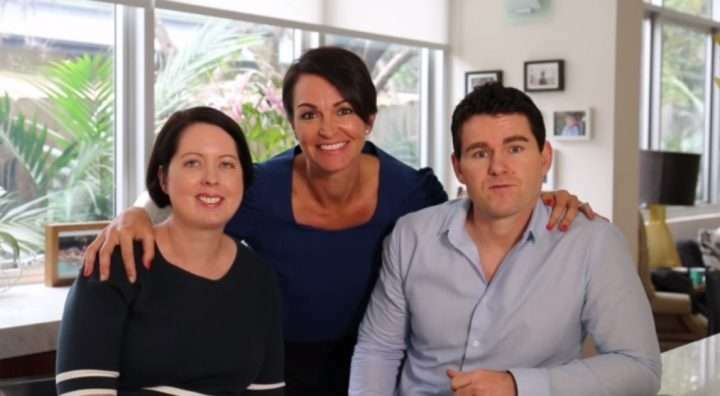 It was an 18-month diploma at that point in time, and there was only QUT in Brisbane where you could do dietetics, not like the four courses that we’ve got now. Then I did placement and realised I actually didn’t want to be a clinical dietitian, so wondered what else could I do? At the time, there was the opportunity to do a research PhD and I had a scholarship, so I embarked on that and developed the malnutrition screening tool, which is now used around the world, which was a great outcome of that work. From there, I was recruited to work for Abbott in the U.S. So I worked on some multi-centre international clinical trials, and then realised that a lot of the decisions of the company were made on the business side. So I went and got my MBA, and then transferred to the marketing business side towards the end of my time there, which was about eight years in the U.S. I didn’t want to live in the U.S. forever, so I came back to Brisbane, which was home for me. I was fortunate to get the Director of Dietetics job at Princess Alexandra Hospital, so I was there for another eight years. I felt I needed another challenge I guess and wanted to do something different before the end of my career. So I started Dietitian Connection, and here we are. Do you feel like the MBA helped with that as well? At the time, I was at Abbott so it would have been better if I had done it probably closer to starting the business. There was a lot of assignments and projects that I could have done in setting up the business. I’d say there has to be some nuggets that were in the back of my mind that I’ve used at some point. What does an average work day in your life look like? It can be quite varied. I’ve tried to be a bit more structured this year, so we’re trying to do different activities on different days. So Monday I try to work on writing content, so some articles in the morning. And I have Kate working with me now, so we usually meet in the afternoon and go over the plans for the week. Tuesday, I’m trying to connect with some of our corporate clients and potentially seek some new opportunities. And then I’ve started coaching, so I’m trying to do some of the coaching on Tuesday afternoons. Wednesdays, we look at preparing for our webinars and our podcasts, which we do monthly, and then events. We’ve got the big Dietitian Day annual conference coming up, so there’s a lot of activity around preparing for our event. And then I’ve got some time set aside for marketing and planning. Amongst all of that there’s calls, some days I might be in the office, some days I’m meeting with people, some days I’m travelling interstate. I enjoy the variety. Do you feel like with the structured approach it’s hard to manage all of that variety because there’s so many things going on? Last year it was very unstructured and I would just kind of deal with whatever I thought was the highest urgency at the time, which doesn’t always fit with the structured model of the things you should be working on. Very important activities might not be the urgent ones. So with this approach, it seems to be working well, although it is still early. Is there anything you’d say you credit your success to? I think one of the biggest things, and I say it to the students and new graduates when I talk about how to get a job, is that it’s really important the relationships that you have with people. Everything in life really comes down to the relationships that you have and the network that you’ve got. So if I could give one tip to any up and coming dietitian, it would be to nurture your relationships and create a wider network, both within dietetics and outside of dietetics. You have definitely surrounded yourself with a lot of talented dietitians – for example the advisory board for Dietitian Connection. How did you get most of these connections? Did you go out of your way to find them? No, so all of the people on the advisory board I have worked with previously in some capacity. Many of them were with me at the PA Hospital, or were my PhD supervisors, so I’ve known them probably for the 20-year span. You’ve got to obviously keep in touch with people and nurture those relationships. So I think it’s about trying to help people where you can and that will come back to you as well. Dietitian Connection is already something of a one-stop-shop for dietitians. Where do you plan to take it next? At the moment, we’ve built the foundation and there’s been a lot of new things that we launched last year such as the podcasts, and we’re really just trying to make sure that the foundation is solid before we do too much else. We’ve already got a lot on our plate just to deliver what we’re currently delivering, and we want to do it well. So it’s really just making sure we’re still delivering quality content and products and events that people want to participate in. What are some of the biggest challenges that you’ve faced with Dietitian Connection? There are many challenges behind the scenes. We’ll turn five in September, which is hard to believe, but for most of that time I was still working, full-time in the beginning and then part-time. It was only in the last year or so that I have been working full-time on Dietitian Connection. So I guess the transition from working in a large hospital dietetics department to sole business owner in the beginning, you’re used to having a large team. I had 30 dietitians, so there was a large team to interact with, get ideas from, brainstorm, help execute. Whereas it was just me, so I had to do everything. You have to be a jack of all trades. You need to be able to do the content, you have to be able to do the marketing, run events, do the bookkeeping, finances, there’s a lot of topics and areas that you need to cover as a business owner. I guess that loneliness, that it’s just you, which again is where the network is important to have people around you. The other thing, which is probably the same for most small business owners, is cash-flow and making sure that you’ve got money coming in to cover the expenses going out, which is a little bit of a rollercoaster. Unfortunately, we can’t all be good at everything in life and business, which can make being a jack of all trades quite difficult. Yeah, so that’s where I think you can’t know everything and be good at everything, so calling upon experts, whether it’s hiring a marketing consultant or somebody in the web space, try and outsource some of the things where you’re potentially not an expert in that area and never going to be good at doing that particular task. I’ve been following the Dietitians Unite campaign and read the update in your latest newsletter. Are there any further plans available or is it still under wraps? Still under wraps, but we are making significant progress and I look forward to sharing it with everyone. You’re known for being a bit of an introvert. Do you feel like that’s helped you with Dietitian Connection to make it have everything as a business rather than just you being a brand, or do you feel like it has hindered you? Yeah, it’s a bit of a double-edged sword and if you’ve followed anything I’ve written over the years, I talk about how I always wanted to be more extroverted. I’ve spent my whole life trying to be someone else, particularly during my PhD. I don’t know if you know Sandra Capra, but she’s quite the opposite of me. She’s a dynamic extrovert who is a leader on the world’s stage. And I was like “I want to be like her, but I’m an introvert, I’m never going to be like her, I’m never going to be a leader, I’m not going to be successful.” But it’s taken me that long to figure out that you can work in other ways and still be successful as an introvert. You can use it to your advantage because you can ask people questions and then just sit back and listen. So you can actually find out a lot more about people and what they want. It can also be a negative, since part of my role is to market and promote Dietitian Connection, and that’s not one of my strengths. But that’s when you get other people to help in those areas. Do you feel like Kate helps with that, is she a bit of an extrovert? She’s more extroverted than I am, definitely. Kate actually started with me as a volunteer. One of the things that I wanted to do but didn’t know where to begin, was to start a podcast. So I said to her “Can you research for me all the steps involved in starting a podcast?” Because it was just overwhelming for me and I didn’t have enough time. So she came back with this intricate document with all of the procedures about how it would be done. And I think I just said to her “Would you do it? Would you run it for me?” So she went off and started the podcast. I then started to pay her on a part-time basis, and as a result now she’s moved to almost full-time. So again, I would say to students and the new grads, the opportunities to start as a volunteer and demonstrate your value and what you can offer can lead to greater opportunities. Is there anything else you would like to add to finish it off? Dream big. 20 years ago I wouldn’t have thought I’d have my own business. I think the opportunities are huge; the internet wasn’t around when I started dietetics. So I say the world is your oyster, there’s so many different opportunities that you can do with the internet, and to dream big and think big. So you can think globally, you don’t have to just think about your local city. 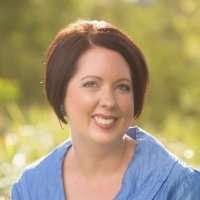 Maree Ferguson is a leading dietitian in Australia and founder of Dietitian Connection. She is an Advanced Accredited Practising Dietitian, Fellow of the Academy of Nutrition and Dietetics, and is an internationally renowned nutrition and dietetics expert. She was previously the Director Nutrition and Dietetics, Princess Alexandra Hospital. She has held leadership positions both within the Dietitians Association of Australia and the Academy of Nutrition and Dietetics (formerly American Dietetic Association). Maree developed the Malnutrition Screening Tool to identify patients at risk of malnutrition. Her innovative malnutrition screening tool has been implemented in many hospitals worldwide.